Data-miners that have been rummaging through the files of Fortnite Battle Royale patch v6.21 have uncovered files that hint at the timeline of Kevin the Cube’s death. While searching through the Patch v6.21 files for Fortnite Battle Royale, data-miners have uncovered new textures that hint at the demise of Kevin the Cube. We’ve already seen him crack and drop something into the sinkhole at Leaky Lake – but these textures hint at the Cube’s demise. The textures, leaked by Silox, hint at the purple Cube object breaking into three different pieces at some point in the near future. We do know that the Cube is cracking and is on the verge of what we can only assume is an explosion. We’ll most likely see this death of Kevin tomorrow during the Fortnitemares finale. These three textures show off three fragments of the Cube. 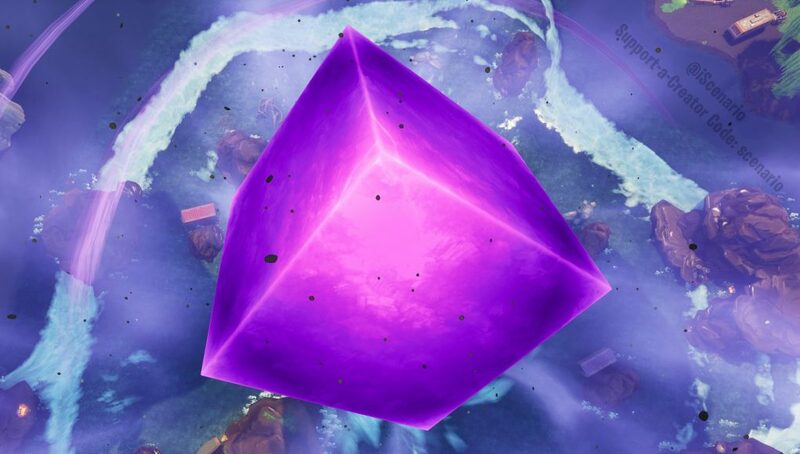 It’s assumed the Cube will explode and leave behind these three fragments, but it also could be an entirely different event. The sounds of the Fortnitemares finale, codenamed “Butterfly” in the Athena files, were leaked previously. The current state of the cube is titled “Weakened”. Silox also provided the meshes for the fragments, which you can view below. Fortnitemares is scheduled to end on Sunday, November 4 at 1pm EST / 6pm UTC with a “one-time” in-game event that should involve closure of all the build-up events that have been leading to this moment. 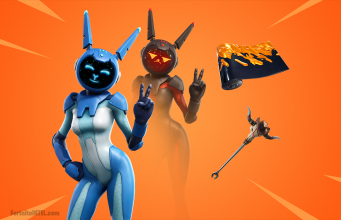 It’s expected to start a wave of challenges which will reward the player with a “Lil’ Kev” back bling.